Call today for a free quote on 0800 083 0225. Dirty Bins Harbour Many Infectious Bacteria. DOMESTIC & COMMERCIAL BIN CLEANING THROUGHOUT GLASGOW & EAST RENFREWSHIRE. HELPING YOU TAKE CARE OF YOUR ENVIRONMENT. All waste and recycle bins including food waste bins are fully cleaned to a high standard and sanitised with an anti-bacterial deodoriser. Cleaned Wheelie Bins are then returned to your property smelling clean and fresh. Disposing of waste-water at our designated site. Disposing and recycling waste that is picked up on the way. Licensed by SEPA (Scottish Environmental Protection Agency) to carry waste. Payments can be made by cash, cheque, BACS or Online Easily with PayPal. 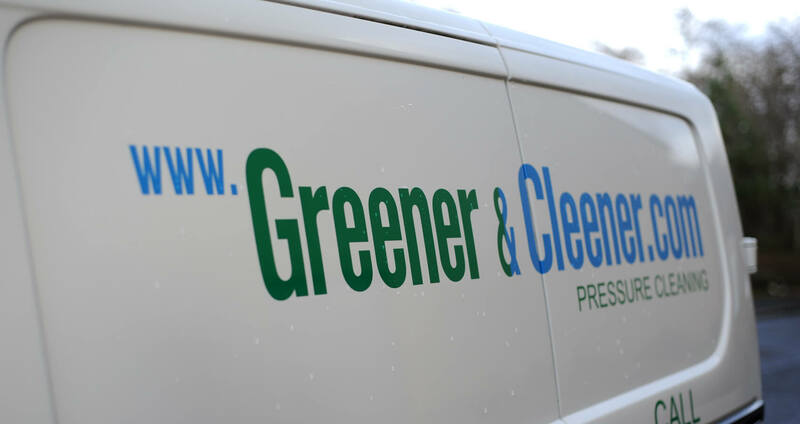 Save hundreds, maybe thousands on the cost of a new driveway at your home with Greener and Cleener Glasgow. We can clean your driveway, removing grime and offer a fast, efficient, ‘No Mess – No Fuss’ solution to cleaning your driveway. We are hard surface cleaning specialists, who only use environmentally friendly products on all driveway cleaning projects. BIN CLEANING & PRESSURE WASHING SERVICES. We can Remove Dirt, Grime, Algea, Moss. Call today on 0800 083 0225 for a free quotation or email us directly. Remove Filth The Greener & Cleener Way. Helping you take care of your environment. 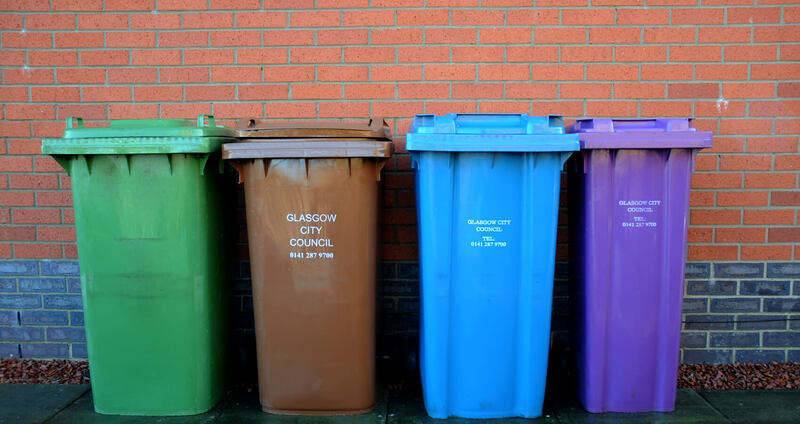 Professional bin cleaning throughout Glasgow. Professional food waste bin cleaning with all waste disposed of eco friendly. 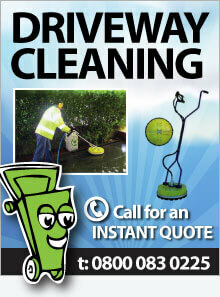 Call today for a free no obligation driveway cleaning quote today on Freephone 0800 083 0225 or mobile 07875 565390.